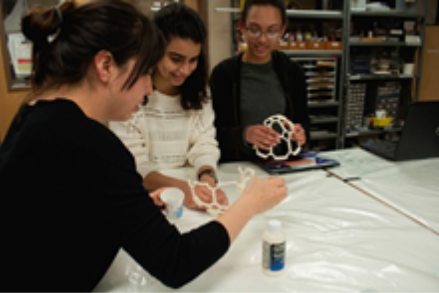 Micro-g Neutral Buoyancy Experiment Design Teams (Micro-g NExT) challenges undergraduate students to design, build, and test a tool or device that addresses an authentic, current space exploration challenge. The overall experience includes hands-on engineering design, test operations, and public outreach. Test operations are conducted in the simulated microgravity environment of the NASA Johnson Space Center Neutral Buoyancy Laboratory (NBL). Teams will propose, design, and prototyping of a tool or simulant identified by NASA engineers as necessary in space exploration missions. Professional NBL divers will test the tools and students will direct the divers from the Test Conductor Room of the NBL facility. For the 2016-2017 year, we planned to work with Dr. Topcu to program and create a Brain Computer Interface (BCI) Quadcopter that responds to brainwaves and voice interface. We had four teams each designing their own quadcopter, each with a respective team lead. The project relied heavily on coding, so we held several Python workshops throughout the year. We also 3D printed a helmet design that would hold the sensors necessary for the brainwave interface. This past year, we decided to do a project related to the space industry. For our project, we planned to design and build a rover, which would have multiple uses. The rover had an arm, which was be able to perform tasks such as picking up objects. In 2014, we decided to take a more atmospheric approach than previous years and beta tested the current developments of drone delivery. Recently, we have observed the necessity of a fast and efficient way of delivering supplies to those in need. Our goal was to develop an efficient and safe way to autopilot a drone to a predetermined location and deploy a payload that would safely land and deliver packages such as medical supplies. We also be took data measurements with respect to air pollution, pressure, temperature, and more. This is the first year WIALD took on an airplane project and was influenced by the department’s Aircraft Senior Design II course. The primary purpose of WIALD’s experiment is to study the thermal properties of Vectran, the most viable structural material for future manned missions to Mars, under the testing parameters Martian and microgravity on board the Vomit Comet. Although Vectran’s thermal properties have been tested on Earth, they have not been tested in microgravity. Thus there is a gap in critical knowledge that affects the safety and feasibility of future manned Mars missions. Update #4: The final update for WIALD’s journey to the Vomit Comet: Flight Week at NASA! Microgravity footage courtesy of NASA. 3/25/14: The students at the Khabele School loved the “On Target” activity, and WIALD is thrilled to hear that our presentation encouraged a few of the students to think about pursuing engineering. 3/24/14: Thanks to St. Stephens Episcopal School for allowing the WIALD team give a presentation about the Vomit Comet project. 3/21/14: The outreach team and an aerospace engineering class at the Ann Richards School for Young Women Leaders had a blast with the “Parachuting Egg” activity. 3/19/14: As part of the Engineering Ambassadors program, the WIALD team visited Deerpark Middle School to show the students what aerospace engineering is all about. 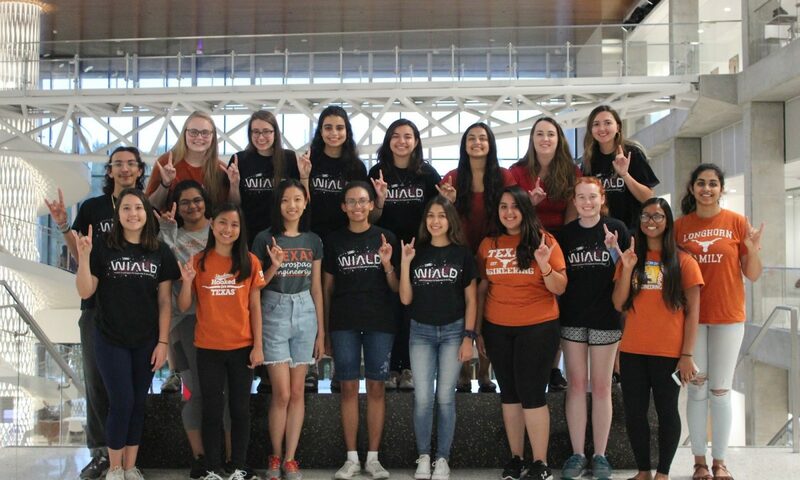 3/4/14: WIALD partnered with the Texas Girls Collaborative Project and UT’s Women in Engineering Program to present at the SXSWedu Education Expo. 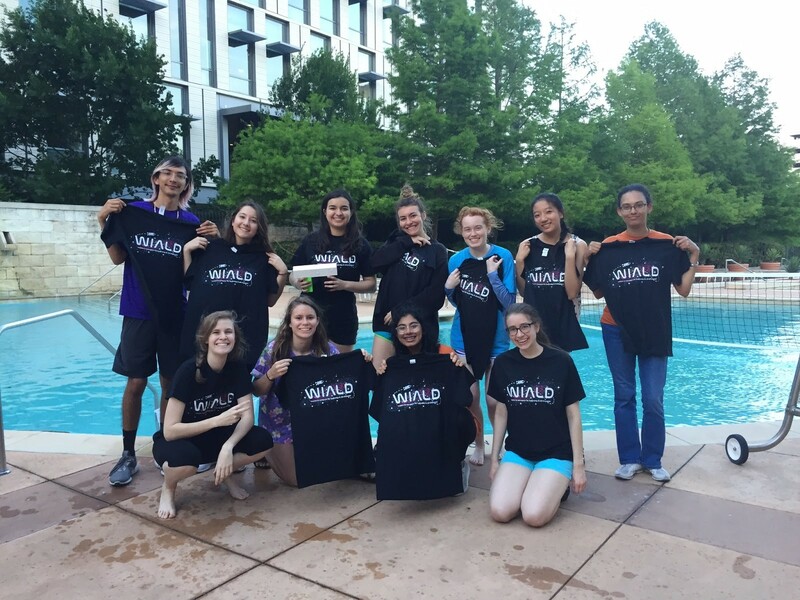 3/1/14: The WIALD team led the “On Target” activity at Explore UT, one of the largest open houses in the country. 2/22/14: WIALD hosted the “Straw Rockets” activity at UT’s Introduce a Girl to Engineering Day, an afternoon of engineering activities for kids of all ages. 2/17/14: Our team visited Austin’s Liberal Arts and Science Academy to represent the field of aerospace engineering. 2/5/14: The first video update of WIALD’s Vomit Comet News is now on YouTube! Watch it here. 2/1/14: First outreach event of the spring semester! 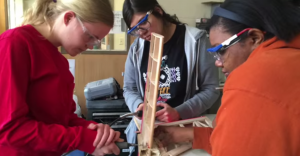 At Encounter with Engineering, high school girls were given the opportunity to explore the different fields of engineering through a series of presentations and interactive activities. 1/30/14: WIALD will be presenting a critical design review for UT professors and corporate sponsors. 12/18/13: It’s official! WIALD has been accepted into the 2014 Reduced Gravity Education Flight Program! We will begin the construction of our experiment in January of 2014. 11/20/13: Our first outreach event, WIALD presented at a career day at St. Andrews Episcopal School. 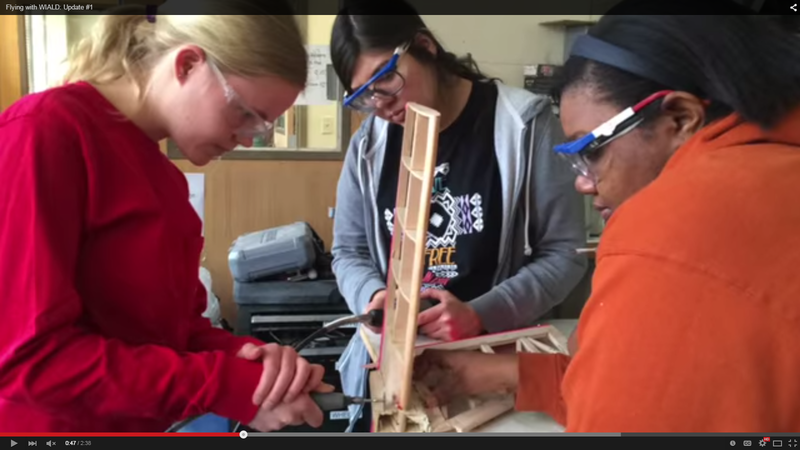 This project focuses on the atmospheric side of aerospace engineering. Over the course of the year WIALD designed a BalloonSAT, or high altitude weather balloon. The balloon was designed to ascend to roughly 100,000 feet, burst, and then descend back to the ground. While in the air the balloon was able to record video, retrieve atmospheric temperature data, and track payload data. The balloon reached the edge of our atmosphere while carrying two payloads containing various sensors and electronic equipment. The following presentation is from our Critical Design Review Presentation and includes detailed plans about the entire project. Check it out to get an in-depth look at this year’s project!